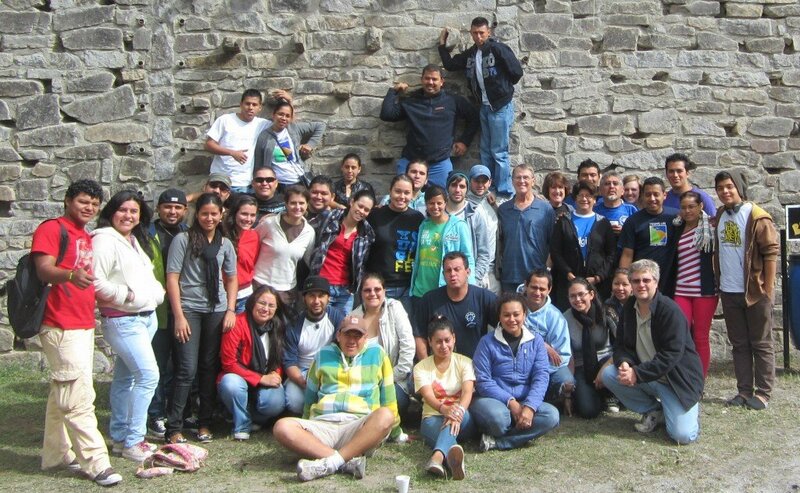 In December 2012, I spent time with nearly 100 Young Life Leaders from throughout Central America at their annual leadership development camp. Across two camp sessions, nearly 500 leaders from 6 different countries attended. The photo above was the group from the 2nd camp. It was a personal joy to watch these students wrestle with spiritual gifts. Several shared horrible experiences where spiritual gifts had been abused. Others had never experienced them at all. On the final night of each camp, the class formed prayer teams and setup stations for the other 200 students to make use of, if they wanted. We had a night of wonderful prayer ministry. As students approached the teams for personal and confidential prayer, we could sense and see how the Lord was working. Instead of running from the spiritual gifts, they ran with them. Can we do this again! I got to experience [a spiritual gift] and see how God used me! During our debriefing time the next day (an important part of our teaching process), we spent nearly 1 hour going over experiences and helping integrate those experiences into our teaching. Below is a video I made two years for the PRMI Latin America trip for 2011. This years trip built on top of that one. It has some insider language for folks in PRMI, but you’ll get a great story line of the work I’ve been involved in for the last 10 years. All the proceeds from the EvangelismCoach.org store and speaking fees support our ministry in Central America. If you wish to support this work via tax deductible contributions, read more here at Support EvangelismCoach via your gifts.